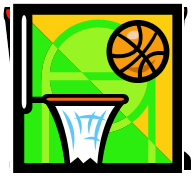 SportsFriends is a free sports skills and sports writing program designed by student board member Kevin Fuh and continued by student board members Russell Fong and Curtis Fong. Our mentors are teens who are active in school and club sports, as well as in PressFriends. Student volunteers must volunteer a minimum of three regular PressFriends mentoring sessions in order to participate. This program has been run at Port of LA Boys & Girls Club, Wilmington Boys & Girls Club, 135th Street Elementary School, and Harry Bridges Span School.